Product Code: ECM-SM-15 We are UPGRADING OUR SHIPPING SYSTEM to make it FREE or bare minimum! Until then, WE WILL CALL YOU TO UPDATE EXACT SHIPPING CHARGES! ODH Jagna HL - Digital mosaic wall highlighter with punch. 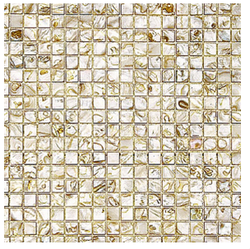 We offer our clients with a comprehensive array of Mosaic- New Cipro offered by the reputed brand "Bisazza Mosaico". The high quality tiles are useful for various residential as well as commercial applications. With a wide range of attractive colors, shades and dimensions, the mosaic tiles are treasured by a large number of our customers.